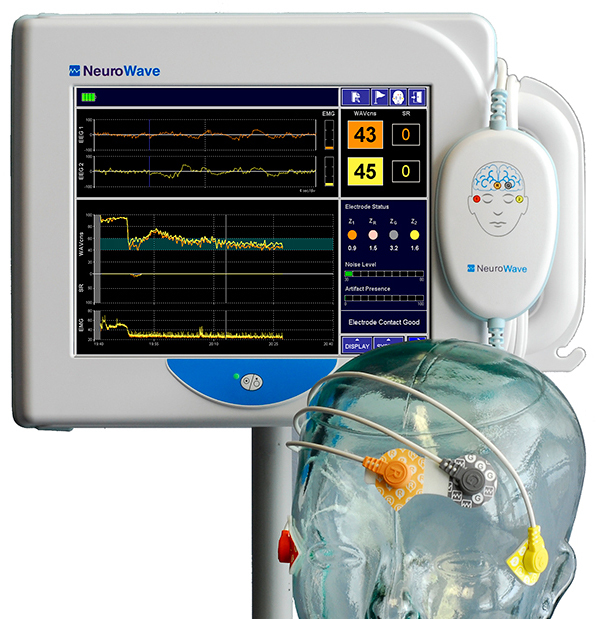 The NeuroSENSE Monitor represents the latest generation of brain monitors for patient-customized anesthesia and sedation, powered by leading-edge signal acquisition and processing. It is the first bilateral brain monitor designed with independent indices for each brain hemisphere, which measure anesthetic drug effect on the brain and respond instantaneously to changes in patient state. For the first time, physicians in the OR and ICU can, simultaneously and without delay, monitor bilateral anesthesia/sedation measures of brain activity. Unlike single brain-activity measures derived from one or both hemispheres, independent bilateral indices allow clinicians to easily spot any hemispheric discrepancies due to, e.g., underlying pathologies or unrecognized artifacts. This greater reliability and added insight into the patient's brain assists anesthesia providers to make optimal decisions for improved and safer patient care. IEEE Transactions on Biomedical Engineering, 2006; 53(4): 617-632. Proceedings of the 2010 Annual Meeting of the American Society Anesthesiologists, 2010; A1363. Proceedings of the 2010 Annual Meeting of the American Society Anesthesiologists, 2010; A1348.